With the right care you will enjoy all our Dakine backpacks for a long time. They are made of high quality materials, and if you notice a few hints, Dakine packs are easy to clean. A careful care guarantees you the optimal function and extends the life of your backpack.That not only pleases you but also the environment! !The most important in advance! No matter how strong the pollution should be and whether it is a bicycle, hiking or ski / snowboard backpack, the backpack must not be washed in the washing machine. Neither at low or cold temperatures, not with mild detergent or without spin. If you are lucky, only the coating or parts of the backpack will break if you are unlucky, then the whole washing machine. If the Dakine backpack has become very dirty during mountainbiking, the dirt is usually already dried when you are at home. Carefully brush the dried earth off the backpack with a large brush. Maybe you can lightly moisten the brush to remove the dirt. The normally soiled interior is first simply knocked out with the opening downwards and shaken out or sucked out with a vacuum cleaner. Then wipe out stubborn dirt with a damp sponge cloth. If the dirt is very persistent, because the backpack was used very heavily, detergents can not be avoided. Here you should use special laundry detergents for your Dakine pack. Here we recommend a cleaning solution from SENTZ-N-CLEAN® or a detergent that gently and environmentally friendly cleans textiles. Please always pay attention to the leaflet! If there are stains in your bag that come from fruit, vegetables or spilled bottles, you can put the stain in warm milk / detergent for at least 15 minutes and wash it out carefully as described above. Best as soon as possible, because once the stains have dried, cleaning becomes very difficult Important: please wash detergent carefully before drying and express the backpack well, so that no soap remains! Important: no matter how strong the pollution should be, the backpack should not be put in the tumble dryer. Due to the centrifugal force and the hot air, the high quality of the product could be lost. If you have cleaned your Dakine backpack completely, you should take care of the zippers with a special silicone spray. That makes them smoother and longer lasting. From time to time backpacks should be impregnated, because the impregnation ensures that drops of water and dirt on the surface can bead off. In addition, the material does not absorb so easily with water and remains pleasantly light. With your Dakine backpack, you should check all fasteners, straps and buckles while cleaning. Because they are constantly in use and can wear through dirt faster. Open and close the backpack several times so that the spray is evenly distributed and prevents too much application. After a short exposure time, clean the zipper with a clean cloth and remove excess spray. Maintain the Velcro fastener: velcro closures can accumulate over time, a lot of dust and lint, should be maintained again and again. Because if the dirt gets too big, the Velcro cannot hold properly. Please also maintain abdominal straps, chest straps and adjusters, should not work as well over time. Please stay longer in lukewarm water here. This allows deep-seated impurities to be loosened and the ligaments to be made supple again. Most of Dakine's sports backpacks are impregnated. This protects the pack from rain, splashing water and dust. But even this protection gradually decreases due to external influences. With a commercial spray impregnation, the protective layer can be easily restored. However, it should only be applied to areas that are outside the carrying system, otherwise it can cause irritation in persons with sensitive skin. !The most important thing in advance! No matter how strong the pollution should be, a bag - even a sports bag - must not be taken in the washing machine. Neither at low or cold temperatures, not with mild detergent or without spin. If you are lucky, only the coating or parts of the backpack will break if you are unlucky, then the whole washing machine. As a special pre-treatment of stubborn stains, we recommend to treat them with a soft nail brush or a special stain remover before the lye bath. The lid of your lipstick has come off and now a pink spot adorns the inside pocket of your bag? Drip a few drops of eucalyptus oil on it, let it work for a short time and then wash it out carefully. Smells good and looks phenomenal! Important: No matter how strong the contamination should be, please do not put your Dakine bags - of any kind - in the tumble dryer. The spin and hot air could lose the high quality of the product. With your Dakine (sports) bag you should check all closures, straps and buckles while cleaning. Because they are constantly in use and can wear through dirt faster. Open and close the bag several times so that the spray is evenly distributed and prevents too much application. Because in velcro closures accumulate over time, a lot of dust and lint, should be maintained again and again. If the there is too much dirt, the Velcro can hold bad. Please also maintain adjustable shoulder straps should not work as well over time. Please leave the bag stay longer in lukewarm water. This allows deep-seated impurities to be loosened and the ligaments to be made supple again. Many Dakine bags are impregnated to protect them from rain and dust. But even this protection gradually decreases due to external influences. With a commercial spray impregnation, the protective layer can be easily restored. However, it should only be applied to areas that are outside the carrying system, otherwise it can cause irritation in persons with sensitive skin. We recommend always washing Dakine shirts on the left, especially if they are washed with other things, such as zipped trousers. This protects the material and protects the colors. Lycras should protect the body from cold and sun and not lose its shape. To ensure that the high-quality material of Dakine Lycras keep what they promise, even when used heavily, you should always pay attention to the care instructions on the label. If you want to wash your Dakine Lycra by hand, be sure to use lukewarm water as much as possible. Just put a mild detergent (for example from SENTZ-N-CLEAN®) into the sink, or in the bathtub, soak the Lycra and rinse everything carefully with cold water. Wring out Lycra carefully, being careful not to leave any foam inside. Dakine ski and snowboard jackets and pants are top technical products. Most of them are windproof, waterproof, breathable and really stylish. That's why you do not have to worry about washing Dakine's outerwear. Just note a few little things and you will enjoy your hardshell jacket / hardshell pants for a long time! All zippers, as well as cover strips and bands close. For all hardshell products, however, please use a bit of an extra mild or even better a special detergent for outdoor products (for example Nikwax - Tech Wash). The advantage: they are mild and leave no residue that could clog the pores. Please refrain from softener, stain remover, heavy duty detergent, powder or bleach. They can clog or damage the pores of the membrane. Dakine Outerwear made of Polartec® or with a PU membrane can be worn at max. Wash at 30 ° C in the washing machine. Please make sure that all detergent residues are washed out. Let it dry in the open air while lying down. In the washing machine at max. Wash at 40 ° C and rinse well. Please use only a small amount of special detergent, as residues can clog the pores. Then dry in the open air or at a warm temperature in the dryer. Hardshell jackets and hardshell pants with Sympatex® wash best in the gentle cycle between 40° C and 60° C. Please make sure that the washing machine is not too full, so that everything can be rinsed out well. Please use a gentle spin-drying program! An impregnation of modern, high-quality outerwear by Dakine usually last up to 50 washes. Note: Impregnation is reactivated in the dryer! The impregnation can wash out beforehand - you can test at home whether the impregnation is still working. Put a few drops on the jacket and see what happens. If the impregnation still works, then the material forms small drops, which then "roll" down the jacket or can easily be shaken off. However, if the water penetrates into the fabric, it is time to refresh the impregnation. Please test in several places, so on the shoulders, the outsides, the trouser legs etc. NOTE: just because the impregnation of your hardshell products stops working, it does not mean that your jacket is no longer waterproof. The membrane remains unaffected by the impregnation. How often you can wash your Dakine outerwear is at your own discretion. In principle, you should make sure that the hardshell jacket or pants are washed as often as necessary, but as rarely as possible. If she no longer feels clean or dirty, or if she stops holding water, then wash her. Please always pay attention to the care instructions on the label. In case of doubt call the Dakine-Shop and ask! First of all please pay attention to the care symbols on the sewn-in label on Dakine bike gloves. Even gloves with clarion-leather or neoprene trim can be washed. However, in case of doubt we recommend to wash cycling gloves by hand because this is the gentlest method. 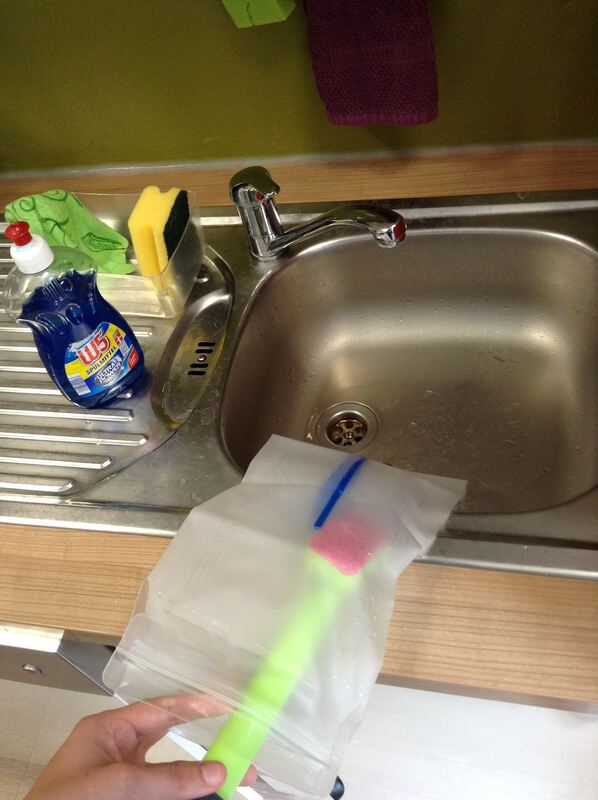 Put the gloves in a mild solution of soap and warm water (without any fabric softener!) and gently scrubbing it with a soft sponge inside and outside. Bike gloves by Dakine should not be dried in the dryer, because it may shrink. Please hang them immediately after washing on the hanger to air dry. Please note that the bike gloves should not dry in the Sun, because the leather- or neoprene trim may become porous. For gloves with Goretex protection it is recommended to use a treatment with an impregnating solution after washing, to ensure dirt and moisture protection. For this purpose, we recommend the SENTZ-N-DRY® impregnation solution (available here in the shop).Leather and neoprene trim should be treated regularly with appropriate preparations such as leather fat, so the leather / neoprene remains supple. We recommend that you treat your gloves with Goretex® membrane from time to time with an impregnating solution, so that the dirt and moisture protection is maintained. If possible, clean the Dakine hydration system after each use. Especially when it was filled with juice, isotonic and / or strong sugary drinks. Unfortunately, bacteria and mold develop rapidly. A good tip to prevent bacteria: SENTZ® Refresh Cleaner. Easy to use, gentle and environmentally friendly. Please note the instructions on the bottle label! If you only fill your hydration system with water, it is sufficient to rinse with water after each use. If you like to fill your hydration system with juice or effervescent tablets, it may be helpful to always clean the hydration system with a little detergent and a sponge. 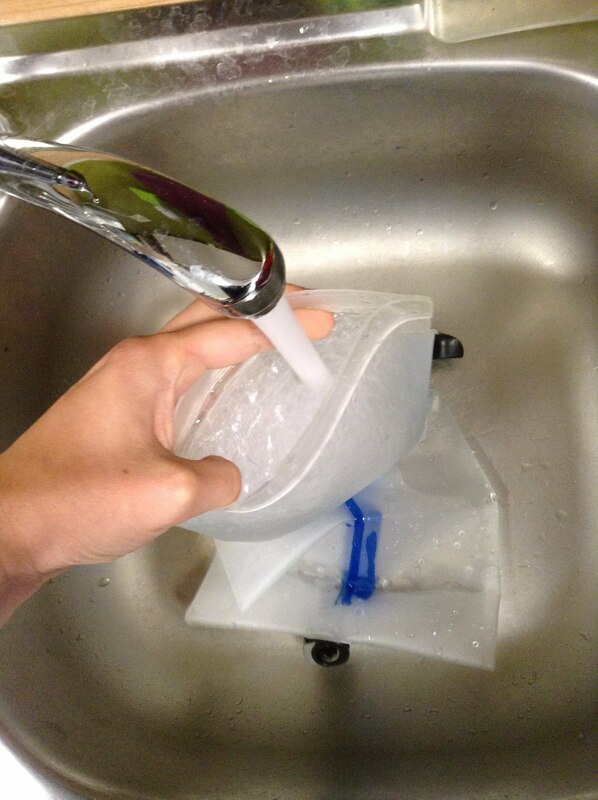 To do this, remove the drinking tube from the bladder and carefully wash out the hydration bladder. 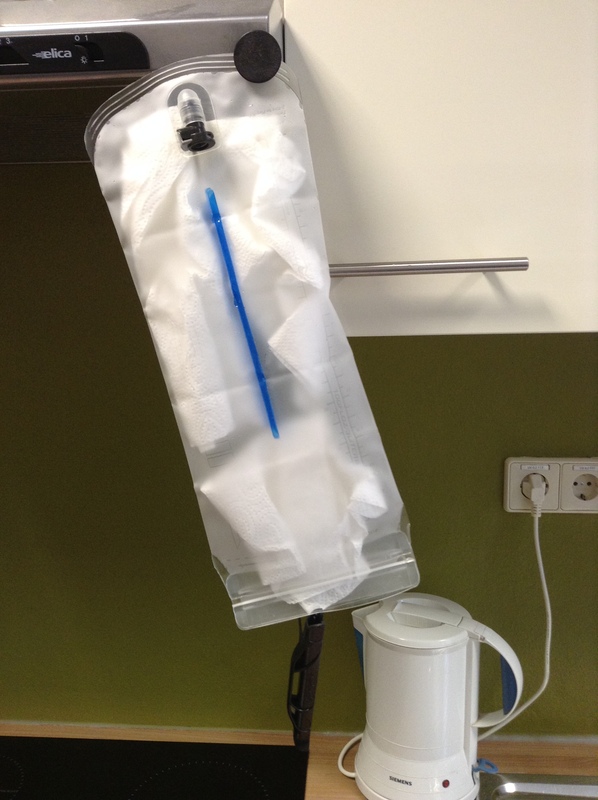 Are you always on the move and do not you always have a lot of time to clean your hydration system? Put on a second hydration bladder! So you always have one as a replacement, if it has to go fast. Outdoor junkies who are constantly on the move should clean their hydration pod whenever they have the opportunity. For a fountain with clear water or a mountain stream is enough. Everyone should be aware of the importance of good hygiene for their health! The mouthpiece: please remove from the tube and soak in a glass of warm rinse water. Wash everything well - let it dry long and carefully! 7) El coupon es válido hasta el 27.04.2019 sin valor mínimo de compra. Solo se puede usar un código de cupón por pedido y no se puede combinar con otros cupones o promociones. 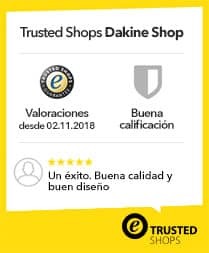 La promocion no aplica para libros y certificados de regalo.